I’m assuming you’ve already read the getting started guide and begun building pages with Page Builder. This guide will help you with the more advanced concepts of styling a Page Builder page. In the “Edit Row” dialog, you’ll find the row styling tabs in the Row Styles Sidebar. By default, there are three groups: Attributes, Layout and Design. Click on each tab to display the settings in that group. 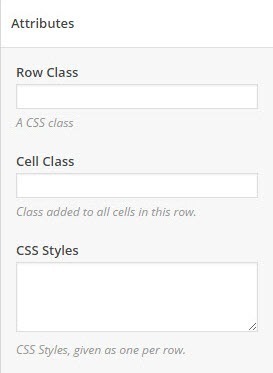 Under the attributes tab, you can specify the Row Class and Cell Class. 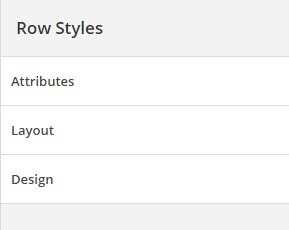 Use the CSS Styles editor to add custom styling to the row and the cells using your chosen classes. 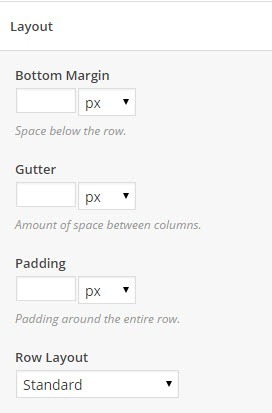 Under the layout tab, you’ll find settings for Bottom Margin, Gutter, Padding, and Row Layout. You can specify your layouts using just about any unit. Click on the drop-down menu to change the unit you’re using. Default row and cell styling. The background color of the first row has been adjusted to a light blue for visual purposes and explanation. 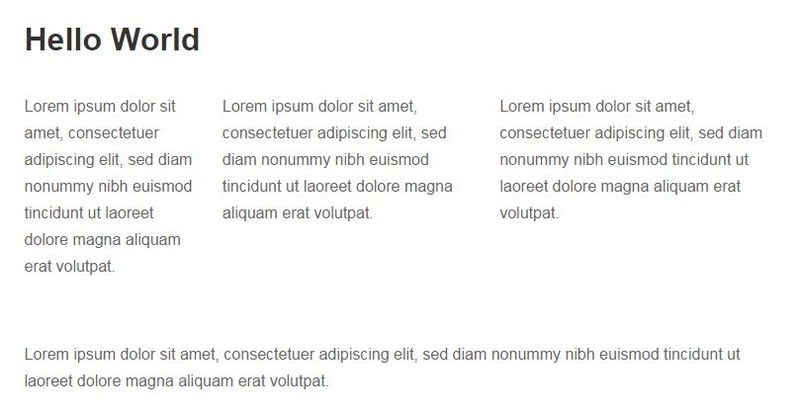 Row Layout = Full Width Stretched Padded – Row background and content are displayed full width. 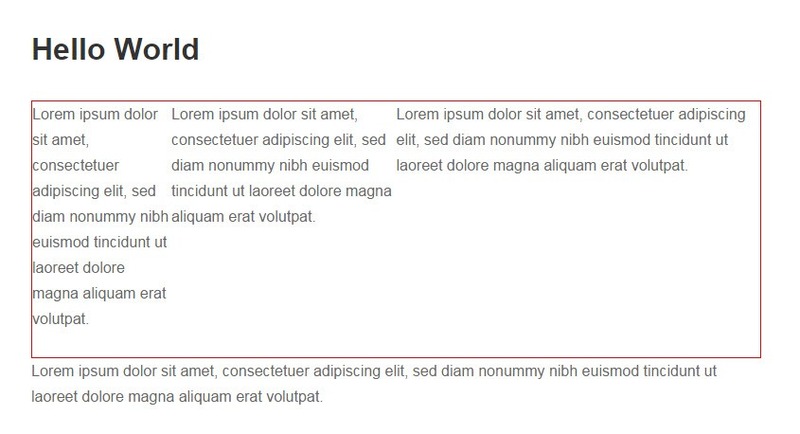 The left and right Row Padding values are included. Under the design tab, you will find settings for Background Color, Background Image, Background Image Display and Border Color. 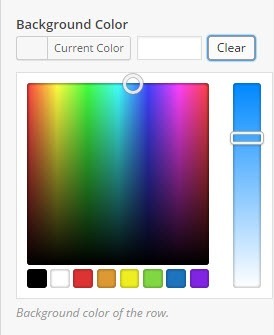 To select a row’s background color, click on the “Select Color” button under the Background Color heading. 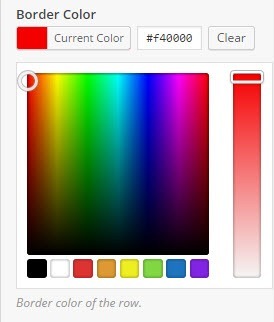 Select the desired color using the color pallet, or type in the color Hex (#) Value. Adjust the color intensity using the slider. 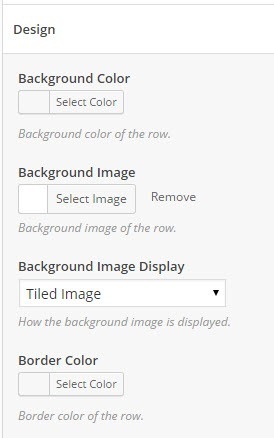 To select a row background image, click on the “Select Image” button. Select how you wish the image to display from the “Background Image Display” drop-down menu. 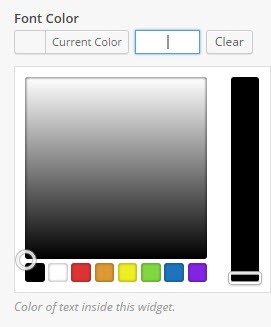 To select a border color, click on the “Select Color” button under the Border Color heading. Select the desired color using the color pallet or type in the color Hex (#) Value. Adjust the color intensity using the slider. To change the order of a row, click and hold the arrow icon in the upper corner above that row. Once you have positioned the row, release the icon to implement the change. To style a row cell, edit the row and click the cell you’d like to style. Once selected, the background color of the cell will be a slightly darker blue and a Cell Styles panel will appear in the right column under the Row Styles panel. A custom ID used for this cell. A custom CSS class used for this cell. One style attribute per line. For example font-size: 16px. The closing ; at the end of each line isn’t neccessary. 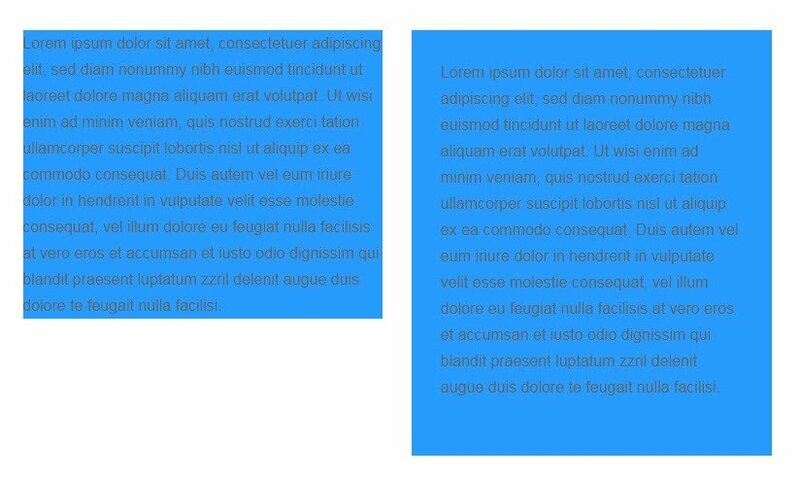 CSS applied when in mobile view. For example font-size: 14px. The closing ; at the end of each line isn’t neccessary. The resolution used for the mobile view is at SettingsPage BuilderLayoutMobile View. Set the top, right, bottom and left padding around the entire cell. Set the top, right, bottom and left padding around the entire cell on mobile devices. Choose between defaulting to the row alignment (use row setting) or top, center, bottom or stretch. Background color of the cell. Background image of the cell. How the background image is displayed. Border color of the cell. Color of text inside the cell. Color of links inside the cell. Click on any widget to open its edit dialogue. 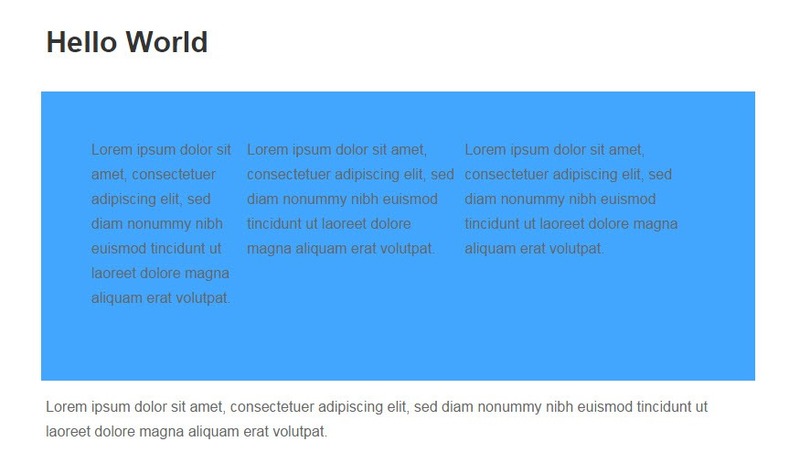 The widget styling features may vary from widget to widget, depending on the author of that particular widget. There are, however, some basic default styling options. 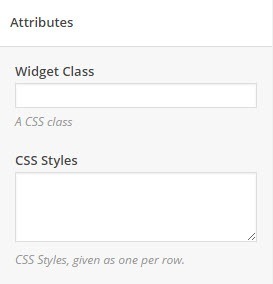 Under the attributes tab, you can specify the Widget Class and use the CSS Styles editor to add custom styling to that widget using your chosen class. 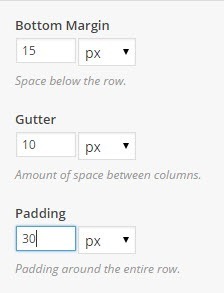 Under the layout tab you will find a padding text field. 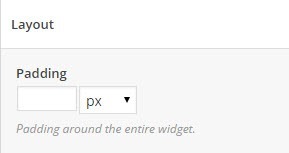 This value specifies the padding around the entire widget within its cell. You can specify this value using just about any unit. Click on the drop-down menu to change the unit you’re using. 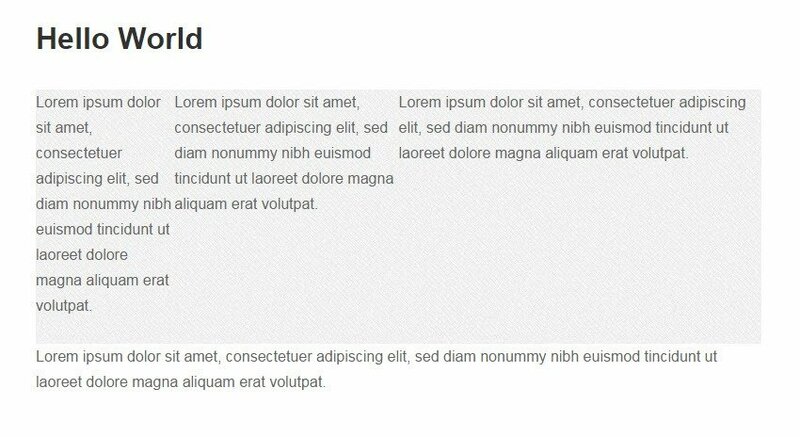 Comparison of default widget layout padding vs 30px padding. Under the Design tab, you will find similar settings to those found in the Row Styling Design tab, namely Background Color, Background Image, Background Image Display, and Border Color. All these setting are covered under section Row Styling > Design. In addition to these, you will find Font Color. To select a font color, click on the “Select Color” button under the Font Color heading.